Today in Masonic History Harold John Arthur passed away in 1971. Harold John Arthur was an American politician. Arthur was born in Whitehall, New York on February 9th, 1904. He was raised in parts of Rutland and Addison counties in Vermont. Arthur graduated from the Albany Business College. After graduation he worked for the Brandon National Bank. In the 1920's Arthur would join the Vermont National guard and serve during World War II. He would rise to the rank of Major before retiring in 1964. Toward the end of the 1920's he would work as an assistant to then Governor of Vermont John E. Weeks. He would also begin working for Warren R. Austin. Arthur would work for Austin for over a decade, learning the law from Austin. Arthur would obtain a law degree from La Salle Extension University. Arthur would work for the Vermont House of Representatives. Starting in 1939, he would become the chief clerk and parliamentarian. He would serve in that position until 1949. 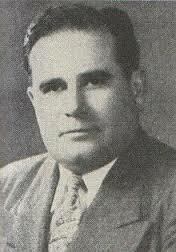 Arthur would be the Republican candidate for Lieutenant Governor in 1948. He would win the election and only serve 2years of his term. In 1950, the sitting Governor, Ernest W. Gibson Jr. would resign to take a federal judge appointment. Arthur would finish Gibson's term and would not seek reelection. Arthur would run two times for United States Congress seats and would be unsuccessful both times. Arthur passed away July 19th, 1971. Arthur was a member of Washington Lodge No. 3 in Burlington, Vermont (now Williston, Vermont). He was a member of the Order of Easter Star, Ancient Accepted Scottish Rite and the Ancient Arabic Order of the Noble and Mystic Shrine (Shriner).